So, you have passed the Rainbow Bridge. 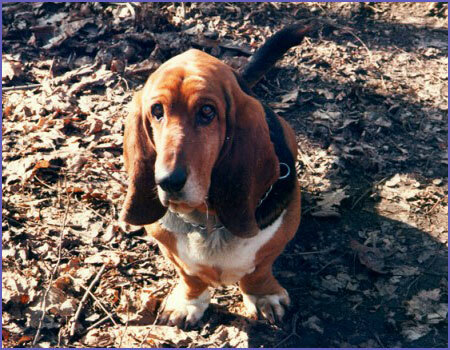 You have been my first dog ever. Everything begun with you. 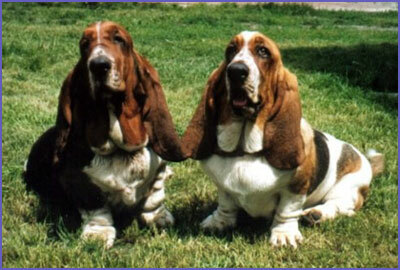 Thanks to you and your parents Dollar and Beruna I became a mad kynologist and I will love bassets forever…. My name is Nora Pois. It means in french "point". Point I have white on my back. I was born in Italy. 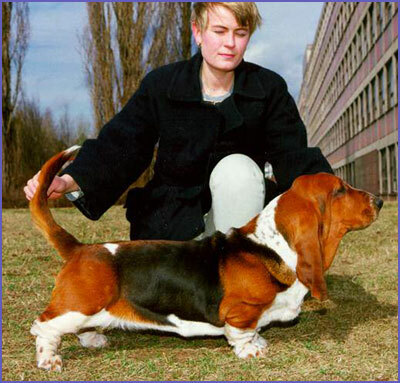 My mother was choosen by Bara at World Dog Show 1995 and she was waiting for me a long time. I am very happy to be Czech now and Albert is happy too. 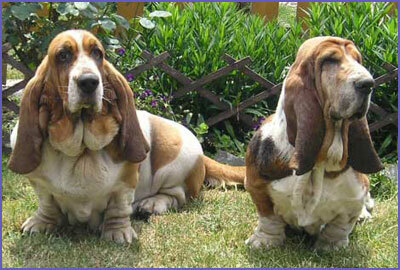 My ancestors were very nice and famous bassets. 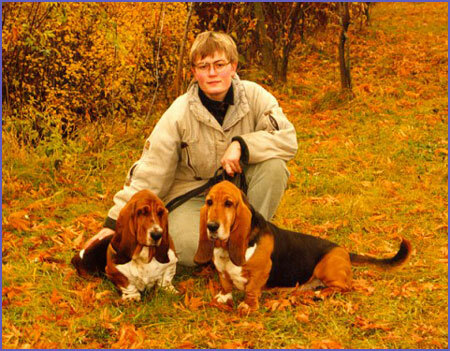 Mum was born at Portugal in the most succesfull basset kennel in the World owned by Jose Homem de Mello - the breeder of 3 World Winners and even BIS World Winner. Daddy arrived from America from long time experienced and known kennel there. I am trying to not disgrace them, Bara was anxious to get me and told I could be without an ear but I must be mainly good in character! 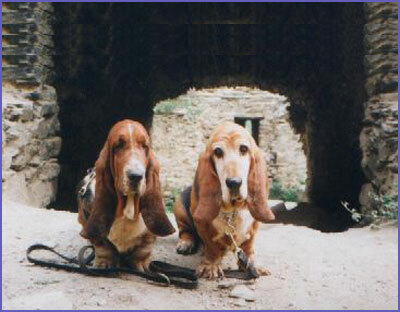 And I am - the basset with best character in Czech! 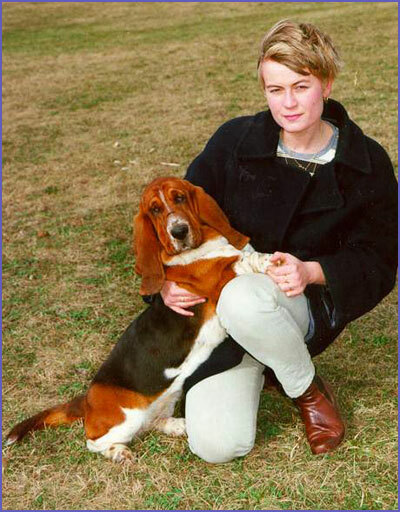 Excellent II - European Dog Show Genova 1998- it was a first Show in my live! These are my best results. Sometimes Judges did not like me because I do not like to be shown in a ring.